December is time for reflecting on the previous 12 months - and making lists. As I look back on the year the economy imploded, I saw much to reflect on. And so here's my list. It was a doozy of a year - one I can't wait to put to bed. Where there lessons learned? I think so. Unfortunately, I have the feeling some of the lessons weren't new. For example, in tearing down the historic Luzon building, I thought Tacoma had learned from the failures of the 60s, 70s, and 80s, that Urban Renewal was failed policy and that it results in ever expanding surface level parking lots at the cost of losing a little grit and a lot of architectural heritage. The Luzon wasn't just an old building, it was part of Tacoma's soul. Tacoma is less with the Luzon gone. On losing Russell: I was amazed to see the city working with state reps to put together in a short amount of time an incredible incentive package to try and keep Russell. Of course, it was hard to compete with the fire sale that was the WaMu Tower in Seattle, but it did make me pause to wonder if that sense of urgency city officials created in trying to keep Russell here is lost and if it could be applied to creating an atmosphere to keep other companies from leaving while nurturing and growing new home-grown companies. And don't get me going about the Old Town Dock! What other city would keep a treasured icon hostage behind a fence?! I find the extended closure of the dock offensive on so many levels but mostly because it screams "TACOMA: CLOSED" Is that how we want to feel!? Is that how we want the rest of the world to view us!? In no particular order, here is my scorecard list for the year that was 2009. Scoring is based on a plus/minus 100 point scale. I'm sure I'm missing some stuff, so feel free to add your own to the list. I look forward to doing what I can to improve Tacoma's score for 2010. Seriously, it would be hard to do worse than this year! At minimum, I hope Tacoma can end 2010 in positive territory. by NSHDscott on 12/27/2009 @ 11:44pm I'm afraid that losing Russell is more like -500 points on this scale, but maybe you're giving extra credit for effort. Otherwise these scores look about right to me. by fredo on 12/28/2009 @ 2:03am Money is in the pipeline for the Old Town Dock, Morgan. As you are fond of saying...baby steps. by Jesse on 12/28/2009 @ 8:15am I think 2009 was a bad year for every city everywhere. I'd say the best thing that happened to Tacoma this year was the passing of the new zoning for the business districts, the Elks project, the grocery stores being installed, the MLK LID looks like it is put together, Point Ruston didn't stop moving along, and the (near) completion of the Broadway LID. I look forward to 2010!!! by morgan on 12/28/2009 @ 9:23am Of course! How could I forget McMenamins?! That has to be worth about 100 points in my book. by Mofo from the Hood on 12/28/2009 @ 10:01am Seriously, in a seaport city how do Tacoma officials account for initially closing for an indefinite time the 11th Street Bridge, the Hylebos Bridge and Old Town Dock? And when I read about projections of population increases I wonder how Tacoma officials reconcile that with the decades long program of narrowing city streets. What really goes on in Tacoma's offices of planning and budgeting? 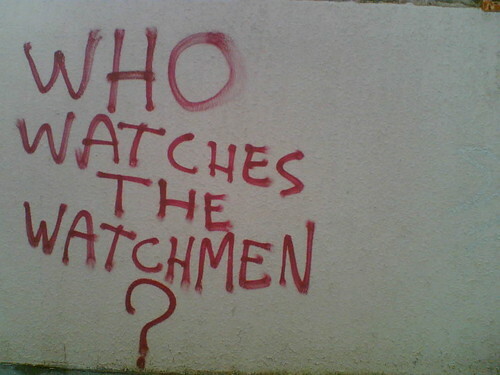 Outside of those offices there's a need for more watchmen on the wall keeping score. by Mofo from the Hood on 12/28/2009 @ 10:12am Digital grafitti is not a victimless crime. I'm sure these are all fine people but I'm wondering if we are getting in return an amount of economic development that would even be equal to their salaries and benefits. These are some pretty cushy salaries, especially in this economy. by ixia on 12/28/2009 @ 11:07am Wow, Crenshaw, that is a huge list. And not even complete, as there are also contract workers in that department. You'd think by now they could have created live-work code. by fredo on 12/28/2009 @ 11:10am Thanks for the link Crenshaw. Those figures are 18 months old and don't include overtime or benefits so it would probably be fair to add an additional 20% to what is reported. Yes, the salaries are excessive and should be modified to reflect current conditions. Perhaps someone could post a list of all the economic developments that occurred in Tacoma in the last twelve months that occurred because we have an ED department and that would not have occurred otherwise. by morgan on 12/28/2009 @ 11:32am Wow- I hadn't seen that area of the TNT before. Very cool of them to organize that data. I had no Tacoma had so many lawyers on staff! Erik: good reminder about the cavernous ugly parking garage too - it looks so much nicer now! Can't wait to see the North Park garage go bye-bye. The proposal submitted by BCRA was pretty awesome- I would very much like to see it become a reality. by Crenshaw Sepulveda on 12/28/2009 @ 11:35am No doubt any economic development resulting from the ED dept over the last year came as the result of these people spending their salaries. I only hope they had the decency to spend it in Tacoma and spend it local. by morgan on 12/28/2009 @ 1:15pm That was pretty huge, RR. Can't wait to see the finished product! by Emilie has one foot on shore on 12/28/2009 @ 2:06pm Lets not forget all the other awesomeness of the arts this year. by Crenshaw Sepulveda on 12/28/2009 @ 8:45pm I need to get some new glasses or clean my monitor, I thought TO'T wrote "No real change in city hall (same feces) -77,343. Not that my version doesn't make sense. by NineInchNachos on 12/28/2009 @ 8:59pm I thought it was lipstick on a pitbull? why are you making sexist comments about palin? by L.S.Erhardt on 12/28/2009 @ 9:05pm If all Alaskans are pigs but not all pigs are Alaskans, are pigs in lipstick any better looking than Sarah Palin? The short answer is no. The long answer is Noooooooooooooo. by morgan on 12/29/2009 @ 9:17am Do you ever get the feeling there are only 5 or so people who actually comment here? by The Jinxmedic on 12/29/2009 @ 9:26am What do you mean? by Crenshaw Sepulveda on 12/29/2009 @ 9:36am No doubt the commenter to visitor ratio at Feed Tacoma is similar to other hyperlocal blogs. It would be useful to have some report on the home page that indicates the number of signed in people v. visitors. I suspect we have a lot of people that visit this site on a regular basis but never comment. by NineInchNachos on 12/29/2009 @ 10:05am have you hooked up a google analytics account to your feed blog yet Morgan? by morgan on 12/29/2009 @ 11:16am I haven't checked my stats in a long time. Views per post range from 50-200. Seems pretty low to me. by david on 12/29/2009 @ 8:36pm Someone should make a list of some of the things that will need to be scored at the end of 2010.
by morgan on 12/29/2009 @ 10:02pm Maria: Good calls all! I think the TNT will be a bigger story in 2010. Be looking from some news from them in the next few weeks. I'm glad Voelpel landed somewhere good - in Tacoma! And the closing of the Helm was indeed a sad moment in Tacoma history. That was a great gallery. - Tacoma finalized plans for new interstellar space port (50pt). - Mars Candy Company completed move to new Tacoma headcourters (40pt). - New council members RR Anderson and David Boe mud wrestled to see who cuts the ribbon on new waterfront baseball stadium (253pt). - LeMay became largest museum on west coast, making Tacoma the biggest tourist attraction in Washington State (1pt). by The Jinxmedic on 1/4/2010 @ 10:00am Oooohh... A Spaghetti Factory with a combination Taco Bell and Pizza Hut! by fredo on 1/4/2010 @ 10:31am Less figural sculptures around town would be better. These ground level replicas of humans frozen in time and mounted on street corners give me the creeps. I would be OK with the Goddess of 9th & Commerce. by Mofo from the Hood on 1/4/2010 @ 1:30pm I'd be satisfied with a shop that made marshmallow milkshakes. Just marshmallow shakes, nothing else. And not organic marshmallow. The corn syrup and sugar kind of marshmallows, like you can buy in a plastic bag. by Crenshaw Sepulveda on 1/4/2010 @ 3:23pm The kinds of marshmallows made from cow's hoofs and hides? Mmmmm, tasty. I share your transit dreams and parking lot fears for our future, with an additional fear. Adding an extra link stop to accomodate the requests of a potential grocer at 13th and commerce, when we already have a stop a block away. - 20.
by Jake on 1/4/2010 @ 4:19pm I wouldn't get all up in arms about the additional LINK station. I believe since the day the LINK was started there has been talk about an additional station being added between the 15th and Theater District station. The Public Works Department reports that Staff is designing a stop for the light rail system that will be located in the block between 11th and 12th. The stop will be closer to 11th in order to fit with the existing streetscape and traffic patterns. This stop will be particularly useful for people working downtown for companies like DaVita. This new rail stop is designed to be smaller and less expensive than some of the current stops. The additional rail stop is expected to cost about $135,000 and be completed by May 2010. I don't really get the DaVita connection as the 15th Street station is closer to their HQ and about the same distance to their new digs in the Columbia Bank HQ building. I still say that its a bad idea. Walking a block or two isn't the end of the world, it's actually healthy. Even though it's only $135K, to benefit the greatest number of Tacoma citizen's the most, all money spent on T-Link should go towards extending it not by adding stops in the middle. by david on 1/4/2010 @ 7:22pm I definitely agree that we need to concentrate on expansion before adding more stops to the existing line... My hope for 2010 is growing support for trolley expansion through Stadium down 6th and to TCC. Maybe even something on the ballot. by Mofo from the Hood on 1/4/2010 @ 7:39pm I'd like to see an expansion of Enterprise Rent-a-Car down at 6th & St. Helens. That is one of the most useful businesses for miles around. I have rented cars many times from them, even within an hours notice. They are a major benefit to the business renter and the personal renter. Efficient, effective transportation for sales and distribution, and for personal appointments.